Last November, Bill Brooks, executive director of the Henry Sheldon Museum of Vermont History in Middlebury, offered six local poets a tour of the museum's "somewhat idiosyncratic" collection of Vermont artifacts. First Brooks ushered the poets through the current exhibits; then he introduced them to parts of the archive, founded in 1882, that visitors do not usually get to see. Those included the packed basement, the stuffed attic and the barn, all brimming with everyday items from the 19th century. But this was no ordinary tour. The poets — Janet Fancher, Kari Hansen, Ray Hudson, Janice Miller Potter, Mary F.C. Pratt and David Weinstock, all members of the Spring Street Poets Workshop of Addison County — were also on a collecting mission. They were gathering material, literally and figuratively, to write a series of poems inspired by things in the Sheldon Museum. As the poets wandered the museum's rooms and poked through drawers and boxes, they found plenty of evocative fodder — a belt of caribou teeth, a flute, paintings, a drawer full of eyeglasses, a woman's diary, a marble road sign. Now their object-inspired poetry has become the museum's newest collection. In a currently running exhibit called "The Museum as Muse for Six Vermont Poets: 'No Ideas But in Things,'" visitors can read the 25 poems on display beside the objects that inspired them. "Henry Sheldon was a late-19th-century, early-20th-century hoarder," explains Weinstock, who first recognized the collection's poetic potential. A former interpreter of objects for Connecticut's Mystic Seaport museum, Weinstock conceived of "The Museum as Muse" and brought his idea to Brooks. Partial funding for the project came from the Vermont Community Foundation. This is the first organized collaborative endeavor for the Spring Street Poets, an invitation-only group cofounded by Weinstock that has been meeting for 18 years on Thursday afternoons at Carol's Hungry Mind Café in Middlebury. Until this past winter, the group focused on workshopping verse generated by the members' individual lives. Following the Sheldon tour, however, the poets began drafting object-inspired poems, a literary technique practiced by poets such as Rilke, Keats, Ezra Pound, Elizabeth Bishop and William Carlos Williams. The last poet inspired the show's title with his famous declaration: "Say it, no ideas but in things." While the practice of teasing poetic inspiration from stuff isn't new, applying it to the artifacts of the Sheldon Museum was — and, say some of the poets, it was a revelatory experience. Hudson, for instance, is a retired ethnologist of the Aleutian Islands who describes the practice of writing poetry as a "freeing endeavor" compared with his former day job, which involved intense scholarship and documentation. On the museum tour, he discovered one of his ideas in a box marked "Alaska" that a Sheldon staffer produced. Hudson opened the box and examined each item, finding a caribou-tooth belt in excellent condition. "I was surprised I was able to unfold it," he recalls. From that unfolded belt, Hudson created a poem, part of which reads, "Kept in a hushed / box, it longs for winter, longs to be told / things haven't changed all that much." It's an unverifiable yet intriguing assertion, the kind he could never have made in his ethnographic work. "It was overwhelming," says Pratt, as she remembers how that first tour unearthed a vast number of appealing items, including blacksmith's tools, a life-size plaster horse, a collection of spinning wheels, baby shoes, a hair taken from Napoleon, diaries and a stuffed cat. Many items sparked her personal memories, she says. Others, such as the "Petrified Boy," ignited a flurry of research, which Pratt distilled into her poem about this plaster figure that was passed off as an authentic human fossil in the late 1800s. 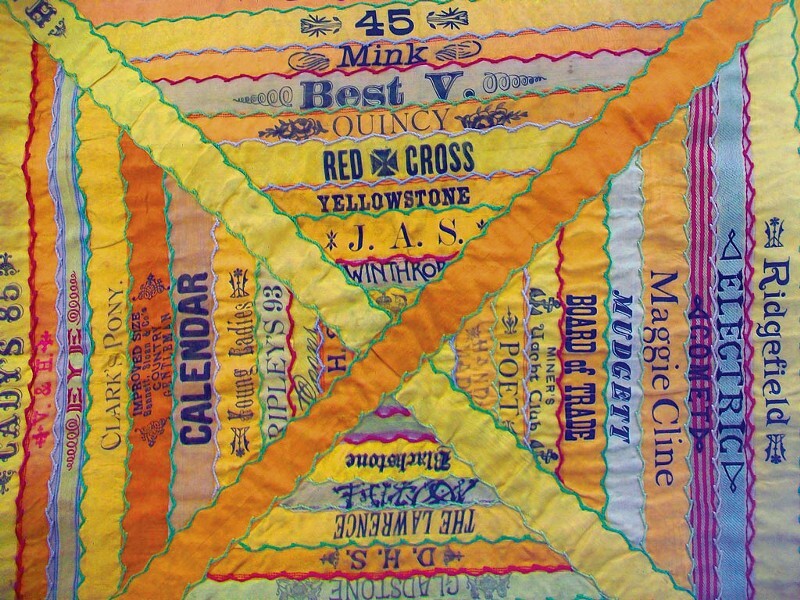 Hansen's poem about a bustle derives from her investigation of the museum's clothing collection, while Weinstock was stirred to verse by a union label reminding him of the kind that used to be sewn into garments. Visitors can see the pairings for themselves — or, at the March 26 reception, listen to the poets read their artifact poems. Either way, their verse offers lyrical testaments to the fact that at least 25 ideas live among the Sheldon Museum's things. The original print version of this article was headlined "Oddball Artifacts + Poets = Ideas in a Sheldon Museum Exhibit"